As far as specs go, the One features all the usual stuff you'd expect in a high end phone. It has a 4.7" 1080p screen, quad-core CPU, a new UltraPixel camera, and runs Android 4.1. It's all housed in a a beautiful aluminum shell. There's no denying that as far as looks go, this is one of the best designed phones in a long time. And with that killer screen, it's sure to turn heads. 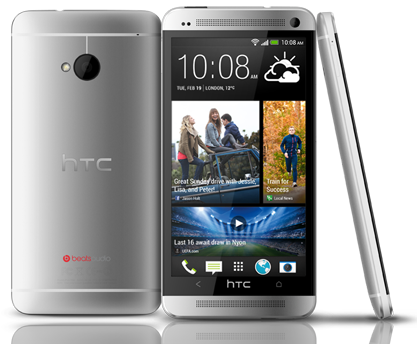 By launching it on three US carriers at once, HTC is probably set up nicely for a big seller. But I won't be buying one. Here are my thoughts. Phone hardware has come a long way since the days of the G1 or the first iPhone. Those early devices look like toys compared to the amazingly high quality and powerful phones of today. Today's phones really aren't phones at all, but are more akin to small, ultra-powerful computers that we can carry with us. It truly is impressive how far we've come. In many ways, though, hardware design has somewhat plateaued. All the new phones recently announced have essentially the same thing: huge, beautiful screens; super high quality cameras, thin designs, quad-core chips, etc. Some differ slightly, but all the new ones from HTC, Sony, LG, and Samsung are really remarkably similar as far as hardware specs. So when HTC showed off their new phone yesterday, it was honestly hard to get all that excited about it. It's beautiful, yes, and the camera things they're doing are very unique, but it's really just another big, thin, handsome device that's just like all the other new ones. If we can't get excited about hardware, then it has to be software that sets things apart. HTC and Samsung both know this, that's why they are so desperate to differentiate themselves. Samsung does it by heaping extra features onto their phones: S-Voice, the S-Pen, SmartStay, etc. HTC is doing it by reinventing the homescreen with social and news features. But both the Galaxy S3 and the new HTC One are running versions of Android that are already one update behind. We all know that a new version of Android is coming at Google I/O in May. The Nexus 4 and Galaxy Nexus will get the update within a month of the announcement...but the new HTC One? It likely won't get updated until Christmas at the earliest...and maybe never. Just look at the AT&T One X launched last year. It was the flagship device and yet still hasn't gotten the 4.1 update, which is now over a year old. Meanwhile, T-Mobile is still selling the One S which also hasn't gotten any updates...and likely never will. 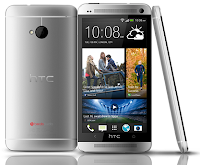 HTC's phones from 2011 are now totally left behind on Android 4.0, never to be updated. So, as always with these new phones from HTC or Samsung, if the latest version of Android is important to you, you simply can't buy these. HTC's partnership with ESPN, or their "BoomSound" speakers, or their "BlinkFeed" homescreen...are any of these features really going to sell phones? Do average customers really walk into a store and say, "Oh, this one has a social homescreen? I'll take it!" Plus, HTC continues to insist on changing the core Android experience. The new One still doesn't use on-screen buttons, changes the way multitasking works, and replaces the whole look and feel with their signiture overlay called Sense. It's truly a shame that the new phones continue to insist on changing everything just for the sake of "being different." These manufacturers are scared to release a phone with untouched, stock Android because they fear it wouldn't make their phone stand out. Frankly, that's sad. So, in the end, while the One looks like a very nice phone, I won't be buying one, and I know a lot of other people won't be either. It's simply not enough to sell on shiny hardware anymore. Customers have embraced smartphones as their portable computers, and being left behind with updates mere months into their 2-year contract is unacceptable. I'll be sticking with the Nexus 4, and I honestly still recommend it...even over the One.